Our seven branches provide diverse activities in our after school programs that meet the interests of all young people. Core programs encourage activities with adults, peers, and family members that enable kids to enhance self-esteem and fulfill their potential. The Doug & Marianne Pardee Aquatics Center, located at our Harper Branch in Solana Beach, features two pools, spacious locker rooms, indoor and poolside showers, a fitness center, a snack bar, and other aquatic amenities for the competitive or recreational swimmer. 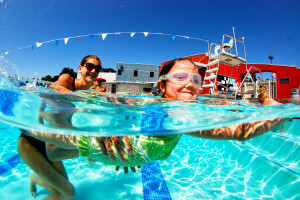 The Pardee Aquatics Center is home to the nationally recognized Rancho San Dieguito Swim Team and Shores Youth Water Polo. Youth Swim Lessons are offered year-round. Our Athletics Department offers a wide variety of sports leagues, sports camps, and athletic activities for youth and adults. We offer Snuffy basketball, Fastbreak basketball, club basketball, indoor soccer, and adult basketball. Gymnasium locations include the Douglas Allred, Kim Fletcher, Cory Grant & Terry Lingenfelder gymnasium in Solana Beach, the Ray Griset Gymnasium in Encinitas, and the Douglas Allred, Larry James & Terry Lingenfelder Gymnasium in Carmel Valley. To meet the needs of the community, the Boys & Girls Clubs of San Dieguito worked with the San Dieguito Union High School District to operate all middle school athletic programs previously being offered by the district beginning in September 2003.The BIG EI8HT Middle School Sports Conference serves approximately 1,000 student-athletes from Earl Warren in Solana Beach, Diegueno and Oak Crest in Encinitas, Carmel Valley Middle School and Valley Middle. 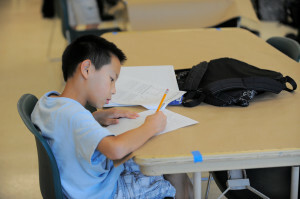 Other coastal North County middle schools participate as associate members. The Big Eight features nine sports to include: girls volleyball, cross country, soccer, flag football, basketball, girls field hockey, wrestling, track & field, and golf. 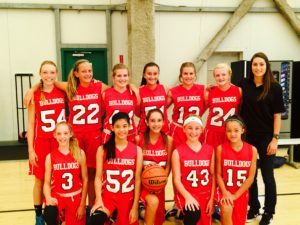 Boys & Girls Clubs of San Dieguito’s Bulldogs basketball program has become one of the largest youth club basketball programs in San Diego and Southern California. The year-round league for third through eighth grade players gives boys and girls a chance to compete on practice teams, league teams that play locally in San Diego or the highest level in club that travels to compete in tournaments. The boy’s program is headed up by Program Director DJ Gay, the former San Diego State University standout while the girl’s head coach is Courtney Clements, a former SDSU Aztec who went on to play in the WNBA with the Atlanta Dream, Chicago Sky and the LA Sparks. The program aims to develop not just great basketball players but great individuals. 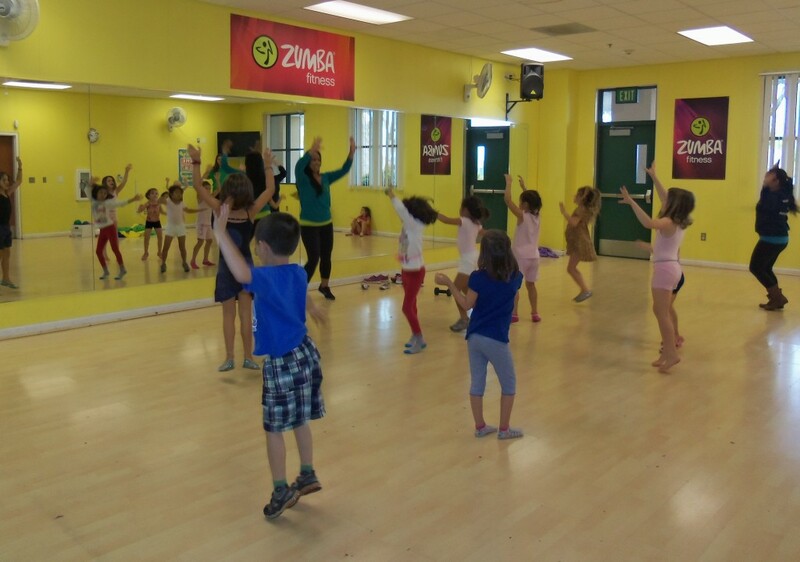 Kids have a blast at the Center for a Healthy Lifestyle! Cooking and gardening are brought to life with fun, educational, delicious, healthy, and silly classes. Explore our class listings for upcoming camps, after school classes, field trips, special events, and birthday party opportunities. Chef Amanda Mascia, Emmy Award winner for her on camera talent for the show The Good Food Factory, makes cooking and healthy eating fun for children! Come see what the buzz is about! USA Freestyle Karate, Aikido, Rhythmic Gymnastics, After School Teen Physical Fitness Program, and fitness classes such as Zumba and Yoga are offered for youth at our Polster Branch in Carmel Valley. Carmel Valley Montessori School provides a nurturing, child-centered environment where individual needs are met at each stage of development. The Montessori manipulable materials are specifically designed to enhance the child’s natural love of learning along with a program led by well trained, devoted teachers facilitating growth on every level. We offer small group instruction and participation in the Boys & Girls Clubs’ six core program areas. Campers are given the opportunity to progress at their own rate and develop long-lasting friendships that evolve through participation in the core activities. 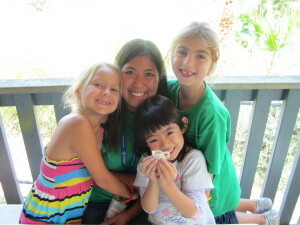 Campers can also elect to participate in a variety of field trips to local San Diego locations. The Youth Arts Academy offers music classes, rock band classes, private lessons, dance classes, and a theater and dramatic arts program. Through YAA, youth ages 5-18 have access to a myriad of quality programs designed to stimulate their growth and creativity, while expressing themselves through performing arts. The Doug & Marianne Pardee Aquatics Center, located at our Harper Branch in Solana Beach, features two pools, spacious locker rooms, indoor and poolside showers, a fitness center, a snack bar, and other aquatic amenities for the competitive or recreational swimmer. 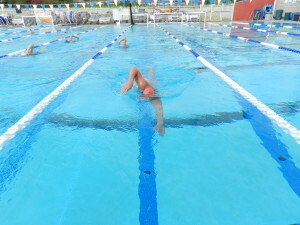 The Pardee Aquatics Center offers the Solana Beach Swim Masters program for adults and open/lap swim for the entire community. 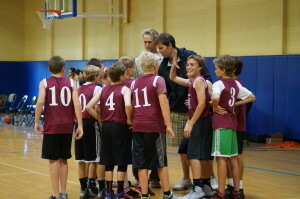 Adult Basketball (runs year-round with 10 week seasons) is available at the gym in Solana Beach. Make your own team and get ready to play against adult teams from throughout North County. Adults have a blast at the Center for a Healthy Lifestyle! Cooking and gardening are brought to life with fun, educational, delicious, and healthy classes. Explore our class listings for upcoming classes, seminars, and rental opportunities. Our intimate Solana Beach Fitness Center at the Harper Branch has state of the art fitness equipment and 3 world class personal trainers. Adults can take music lessons at the Youth Arts Academy facility upstairs at the Polster Branch in Carmel Valley.